This little pink top was made with a little help from my friends. 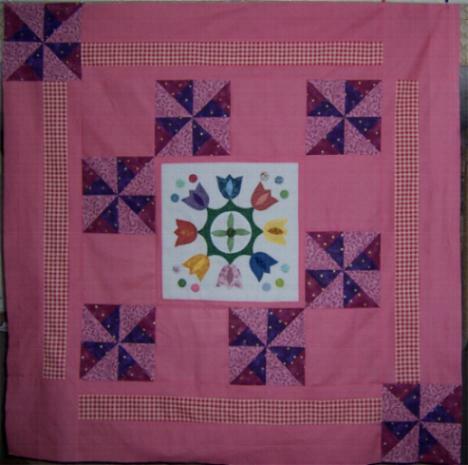 The center is beautifully hand appliqued by Louise Barker, Quilt Chicks. The pinwheels were donated by Monique McDevitt, Beehive. 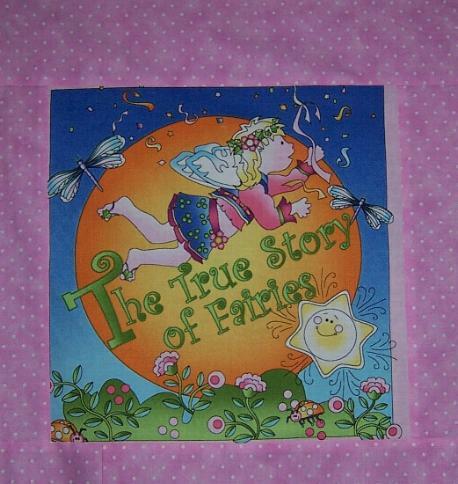 The 2 pink fabrics were donated by Robin Martin, Trading Fabrics. 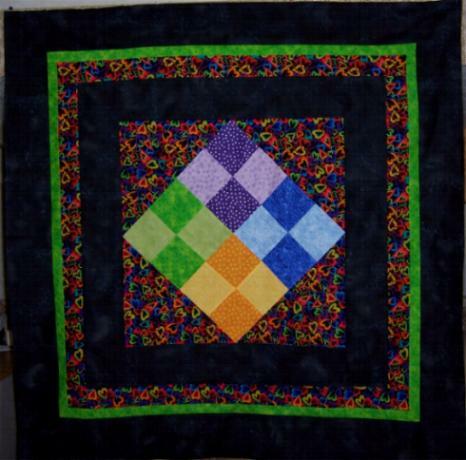 The blocks in the middle were donated by Robin for a Quilts 4 Cancer quilt. I added the purples, and swapped 3 other colors for purple ones so I could use the 4-patches as the center for this one. I had just enough black to make the two borders, and it was Paul's idea (my husband) to make a breaker border in a bright color. The heart fabric had the perfect colors for the 4-patches. 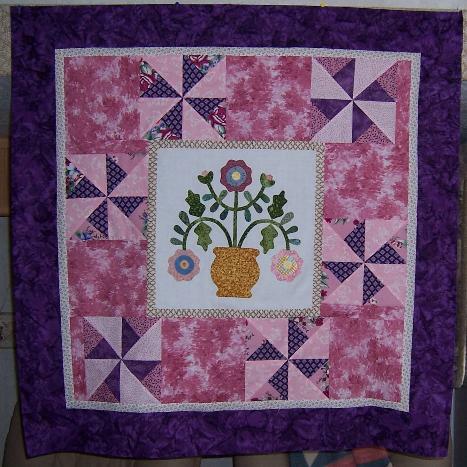 The center block of this is a beautiful applique donated by Louise Barker, Quilt Chicks. 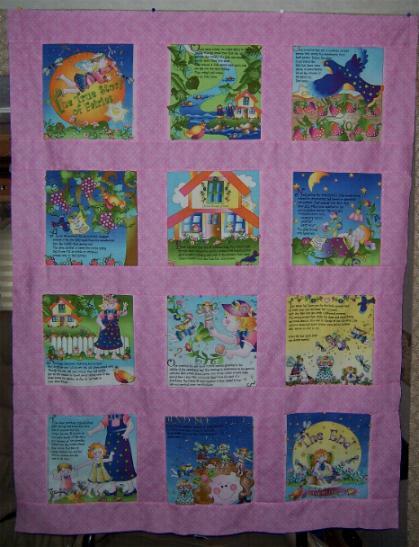 The pinwheel blocks were donated by Monique McDevitt, Beehive group. Another quilt made with the help of the incomparable Moira McSpadden, of all the lists where I'm a member. 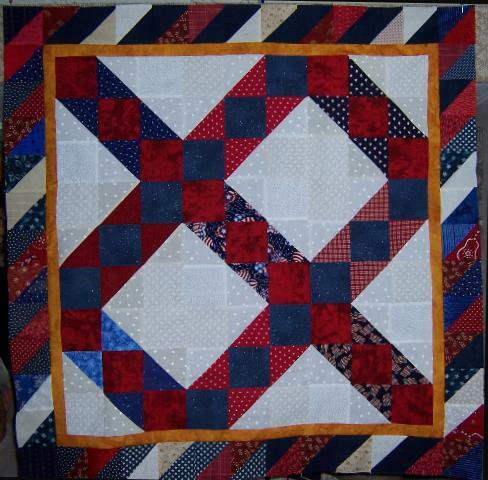 The border is HSTs I've been saving from other AmHero quilts. 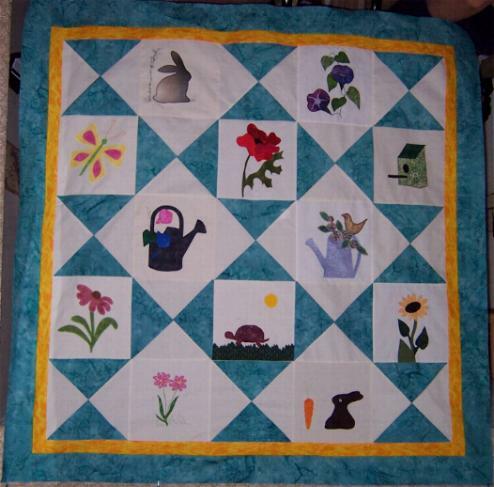 The garden blocks were donated by Jan Andrews, Fat Quarters list. The others were ones I made for setting blocks.